Your favorite superheroes from the Marvel Comics universe come to Disney Infinity! 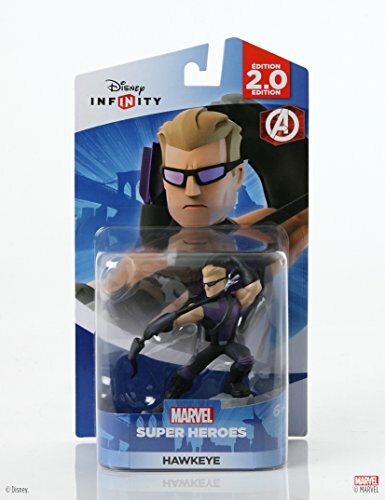 This Disney Infinity 2.0 Hawkeye Figure will help you continue your Disney Infinity adventures with Marvel's Avengers ! DISNEY INFINITY 2.0 Edition: Marvel Super Heroes - Hawkeye. Hawkeye is a superhero member of The Avengers.